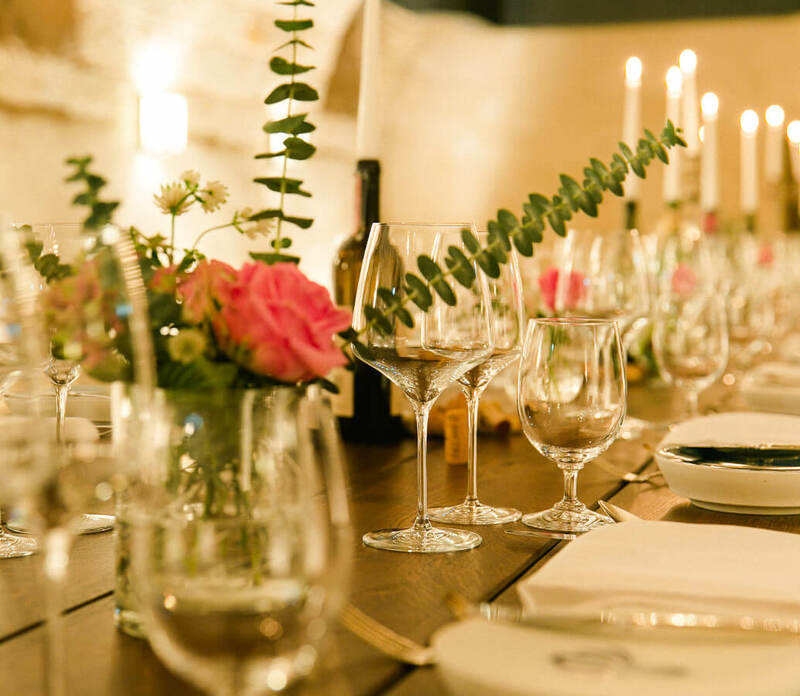 Whether wedding, birthday, company party or conference - the beautiful park, the discrete and protected from prying eyes character of our house and the historic rooms with their special charm provide the perfect environment for very special occasions. Our idyllic winery in the middle of the vineyards is a very special place for your team incentive or teambuilding program and a unique setting for new creativity and cohesion. The historic building, the spacious park, 15 individually furnished rooms as well as modern conference facilities and a variety of recreational opportunities in the immediate vicinity, professional and private interests can be perfectly combined with us. Reception with homemade carefree Basilitif, infused with fine Winzersekt. In the „Weinzauber“ room from 313.00 Euro per person in a double room and 442.00 Euro per person in a double room for single use. Further room categories on request. We are happy to help you book additional services for your incentive program.